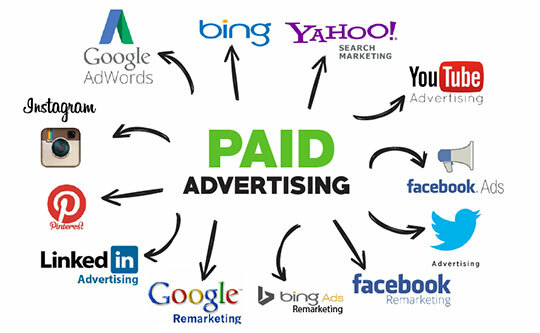 Paid Content Distribution: You’ve probably heard the phrase and have even implemented paid ads on various platforms. However, you’re lost as to all the tools you could be using. Even more, you want more engagement from your readership and more ROI. In this article are a few tools and tips and tricks to help get you going and to expand your readership. The meteoric rise of the social networking sites like Facebook, Twitter, Instagram and the likes in the last 5 years or so have successfully brought down the long-standing Google monopoly on internet advertising. Marketers are no longer dependent on Adwords alone in order to bring some paid traffic to their site. Facebook’s Ad platforms are already immensely successful, and Twitter’s too is getting there. Although social platforms like Instagram and Pinterest are somewhat behind in terms of paid ads, they are too evolving fast into two unique new social advertisement platforms. Instagram is still seen as an underdog in the industry, but the future seems very bright for it, especially after the Facebook acquisition. According to Kenshoo, a software company, users are almost three times more likely to click on Instagram ads than on any other platform. The Facebook Ad program, with Instagram’s 300 million users and Facebook’s over 1 billion users, makes for a powerful marketing avenue for advertisers. Pinterest is perhaps one of the most unique platforms in terms of demographics. According to the Pew Research Center, a majority of Pinterest’s active users are women. It is also said to have a user base which is more likely to make buying actions. If you’re looking to advertise on this platform, Pinterest does utilize a paid pin option that only charges advertisers for cost-per-click. Research has proven that Facebook’s ads consistently provide high ROI for most marketers. However, the relative success of campaigns on Facebook can largely be attributed to how good job you do in segmenting your audience. While Twitter’s paid platform isn’t nearly as advanced as Facebook, Twitter’s Promoted Tweet option allows its users segment audiences pretty closely and cheaply as well. Don’t have time to manage various paid platforms and create content? Consider using content discovery platforms such as Outbrain and Taboola to deliver your content and increase your traffic. Google Display is another option that gives you a complete arsenal of advertising tools – replete with text, image and video ads, campaign managing and the ability to only sell on sites that are relevant to your niche. Additionally, there are services like igautolike.com that may help you get a quick boost to the number of your followers but services like these can have their risk and payoff. All in all, as a marketer there are many tools at your disposal; it’s just a matter of which tools, or which combination of tools you choose to use.You may also like to explore the paid offerings provided by Pinterest, Reddit, Stumbleupon, and other upcoming platforms. They have not yet become as popular or saturated and you may have a significant first mover advantage if you start trying them now. All of them offer unique solutions and environment for innovative marketers to try and test new things. For example, if you are a gadget manufacturer and would like to reach a lot of early tech-adopters. You may also like to explore the paid offerings provided by Pinterest, Reddit, Stumbleupon, and other upcoming platforms. They have not yet become as popular or saturated and you may have a significant first mover advantage if you start trying them now. All of them offer unique solutions and environment for innovative marketers to try and test new things. For example, if you are a gadget manufacturer and would like to reach a lot of early tech-adopters, Sponsored Reddit could be an excellent option for you. Paid Stumbleupon works great if you are looking to make something go viral. I believe Reddit and Stumbleupon are two platforms that are going to be exclusively important for content marketers in the near future as both of these platforms offer avenues for promoting long-form content. If you’re selling goods online, you’re the best bet of making a sell is reaching a large audience. It’s simple, the more clicks, the more likely one of those clicks will turn into a purchase. Of course, there are other things you need to do in order to establish yourself as a place where customers want to buy your products. However, if you’re just aiming at getting more eyeballs on your site, paid content distribution is something you need to master.